Hart stars as a high school dropout named Teddy whose dreams of operating his own his own BBQ grill store literally goes up in flames. He’s also living paycheck to paycheck while attempting to act like a baller and trying to hold on to his fiancé Lisa (Megalyn Echikunwoke), who is clearly out of his league. 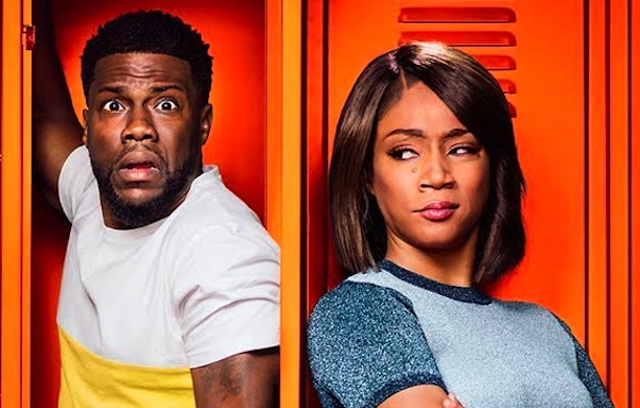 So this leads him back to his old high school to take night school classes, to get his GED through an overworked teacher named Carrie (Tiffany Haddish).